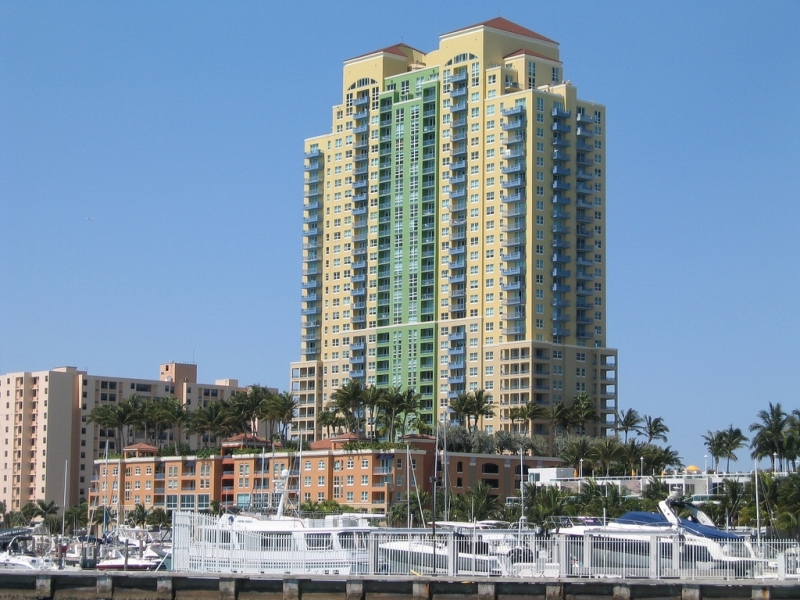 Miami Beach’s Yacht Club at Portofino is located on Alton Road within the South Beach area. Its position allows it to have entirely unobstructed views of Biscayne Bay and other notable sights in the area like the six Venetian Islands and the various towering high-rises located next door in the city of Miami. With amenities like a heated pool overlooking the bay, a tennis court, business center, and sundeck, the building provides a well-rounded living experience enhanced by the city it calls home. We are currently featuring a recently listed and quite fantastic six bedroom, five bathroom unit located in the Yacht Club condo. It has over 4,000 square feet of living area and captures all of the Miami Beach modernism in its residential features which include an eat-in kitchen, deluxe flooring, and a terrace with more than enough space to set a small table so you can enjoy a drink or meal while being enveloped in the breezy ambiance courtesy of the bay and the beaches. Because it’s part of the South Beach area, the Yacht Club at Portofino is near longtime city mainstays like Joe’s Stone Crab, Nikki Beach, and Smith & Wollensky. The beaches are just a couple of blocks to the east within walking distance and you can use the nearby MacArthur Causeway to easily get to nearby Miami.